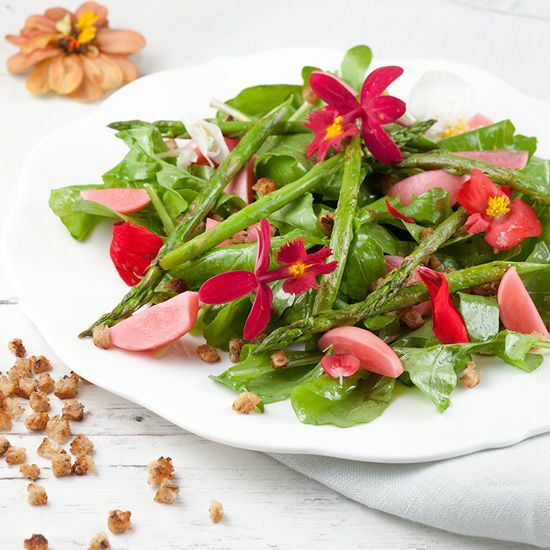 CREATE a simple dressing by combining mustard, dry white wine, pepper and salt. Slowly ADD the sunflower oil and use a whisk so it will combine beautifully. Taste if it needs any more seasoning. If you’re using regular radishes instead of pickled ones, RINSE them and slice them into quarters. 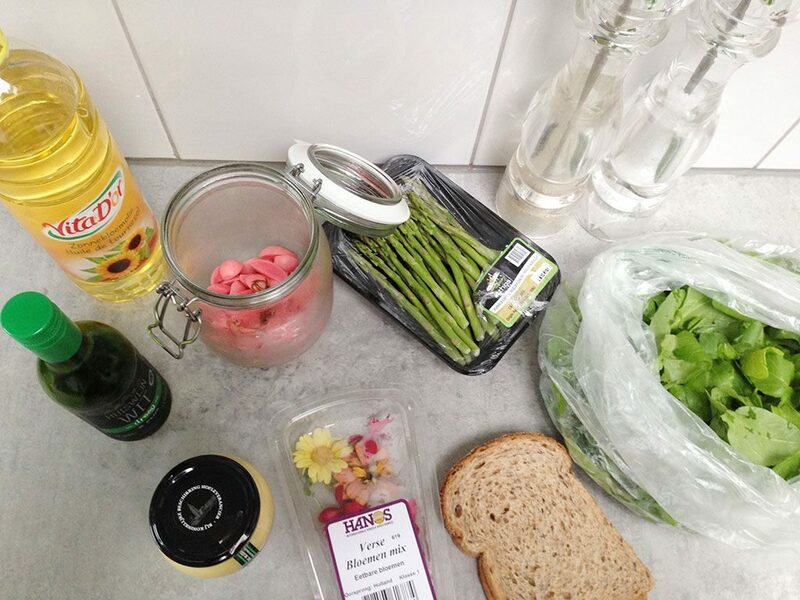 RINSE the arugula or other mixed greens and use a salad spinner to get rid of the excess water. CUT the ends of the green asparagus and add a little bit of oil to the asparagus. Now for the tiny bread croutons. Cut off the crust of the bread and cut the soft part into small cubes. HEAT some oil in a small skillet and cook the bread cubes for a few minutes, or until they’re golden brown and crispy. 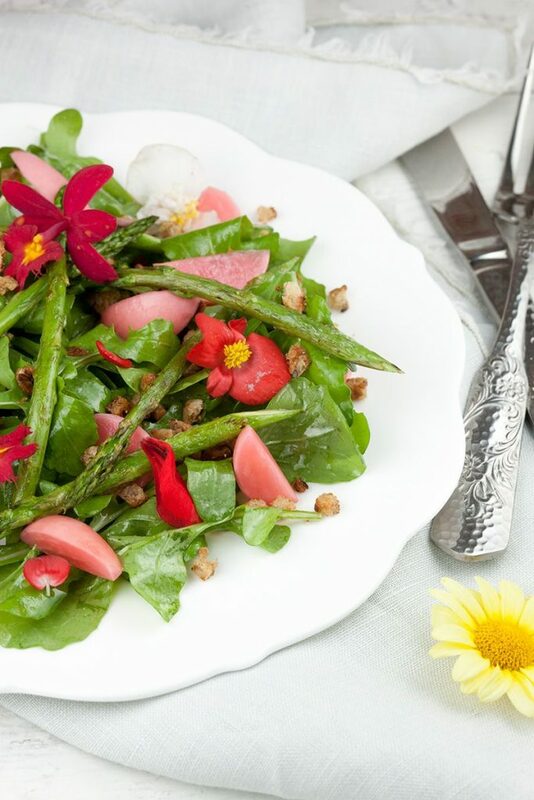 DIVIDE mixed greens, radish quarters, dressing and tiny croutons over the plates. HEAT the grill pan on high heat. GRILL the asparagus about 3 minutes. 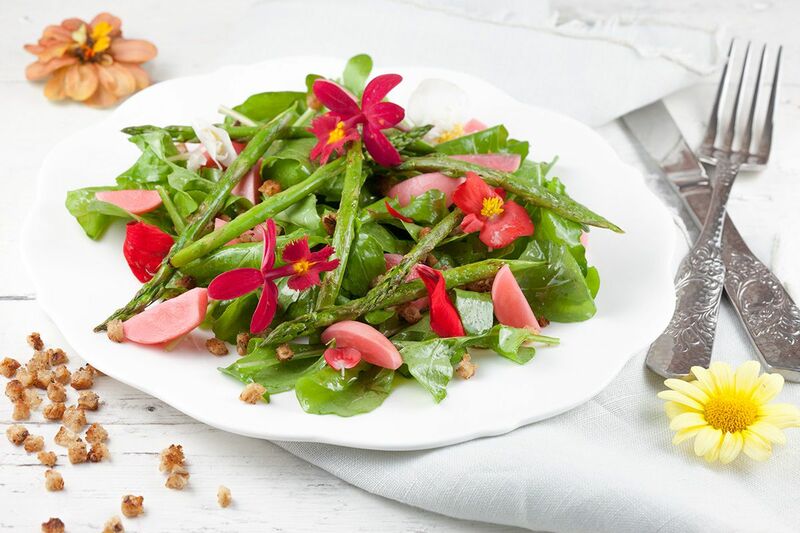 DIVIDE the hot asparagus over the salad and finish it off with edible flowers. Enjoy!